There is an interesting article in the Toronto Star today that discusses gentrification, its effects and where it is happening in our city. The article looks at the change in household income between 2006 and 2015 in neighbourhoods across the city. 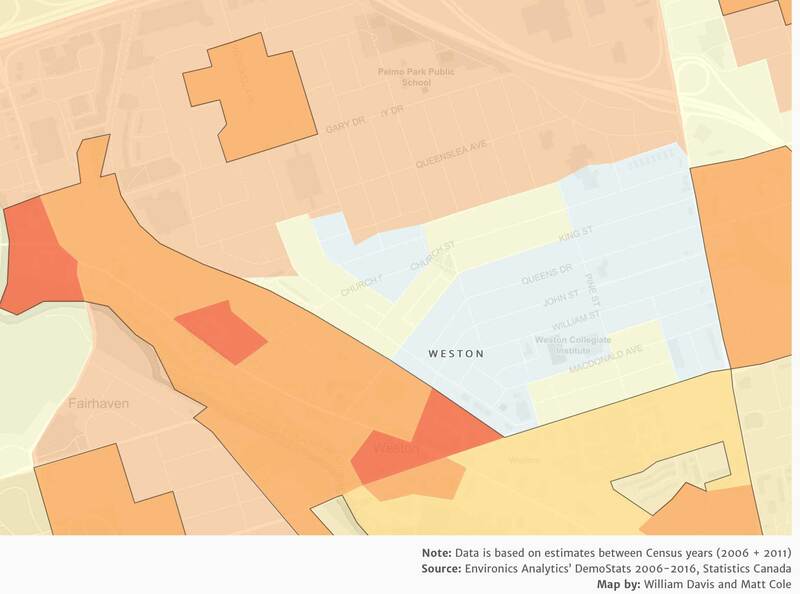 While neither Weston nor Mount Dennis can be classified as gentrified – or even close (yet), there are significant increases in household income in many of our neighbourhoods. Warm colours represent larger increases while blue indicates a decrease in household income. Many parts of Mount Dennis, have also seen an above average increase. Again, the 2021 opening of the Eglinton Crosstown LRT may be a factor in this but time will tell. The results across the city showed an 18% average increase in household income. 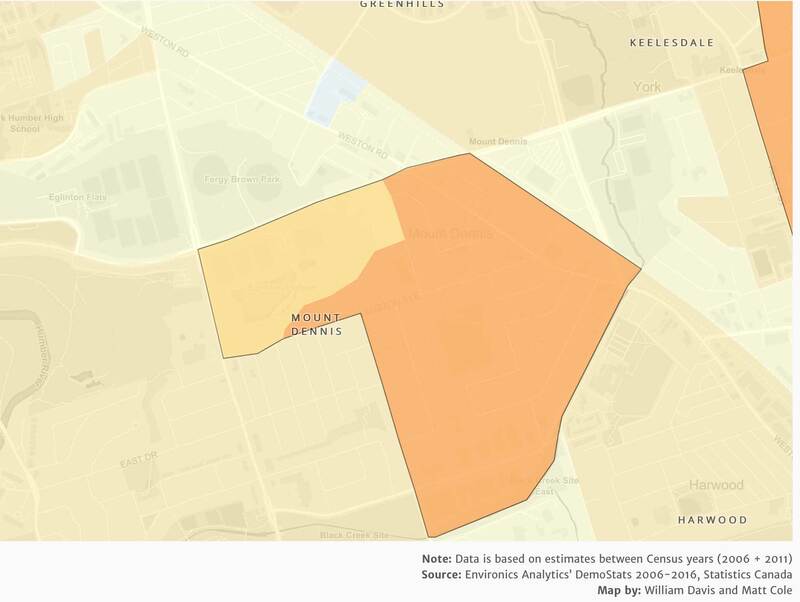 Check the Star’s article to see how your neighbourhood compares. Weston Village lights up the darkness. It’s the Winter Solstice today – the darkest day of the year (in the Northern Hemisphere). Last night, WestonWeb did some drive-by shooting through Weston Village in the annual hunt for Christmas / Hanukkah / Kwanza / New Year / Festivus / Shopping Festival lights. Several of the more charming displays are included for your viewing pleasure along with comments from our expert team of know-it-all adjudicators (my wife and I). If your house is not included, its image has probably been rejected, not on the bounds of good taste but thanks to the abject skills of the photographer. When Westminster United Church closed last year, the Weston Village Daycare was forced to close as well. Many parents (and citizens) wondered why that had to be so—isn’t it better, after all, to make a little money from rent rather than none at all? Next week, City Council will debate a motion by Paula Fletcher that would ask staff to figure out what can be done in situations like this. If passed, staff will inventory the services provided in churches and come up with options for preserving them when churches close.